I was going through some of my older blog posts and I started right at the beginning. My very first blog post (read it here) was April 14, 2008. The kids were so wee! A had just turned 2 and T was 3 months old. AND I HAD A CLEANING LADY!! Fast forward 7+ years later ... I'm the cleaning lady now and, if you read yesterday's post, you'll know that I've smartened up and have my now 9 and 7 year old children cleaning with me. I don't care if it's perfect, I just care that they contribute to the household and learn to care for their homes one day. 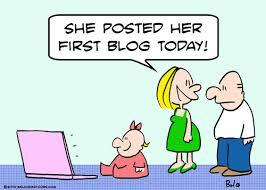 If you are a blogger, do you remember your first post? How has your life changed since then?